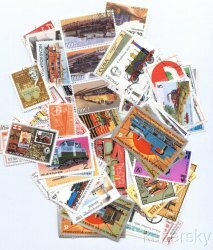 Trains on Stamps, Topical Stamp Packet Collection, 100 different stamps. This topical stamp collection of 100 different Trains on stamps, is a mixture of stamps from various countries of the world. Trains on Stamps, Topical Stamp Packet Collection, 100 different stamps. This topical stamp collection of 100 different Trains on stamps, is a mixture of stamps from various countries of the world. 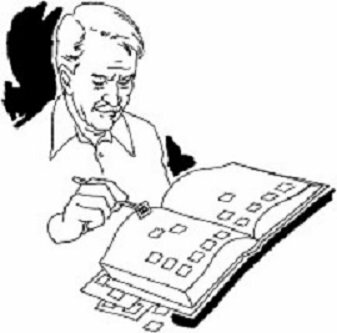 This mixture of canceled, mint, and/or used, all different stamps, may contain sets. 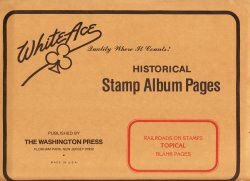 These stamps are an excellent way to begin or enlarge your stamp collection. Scan is an example of the contents of the collection.